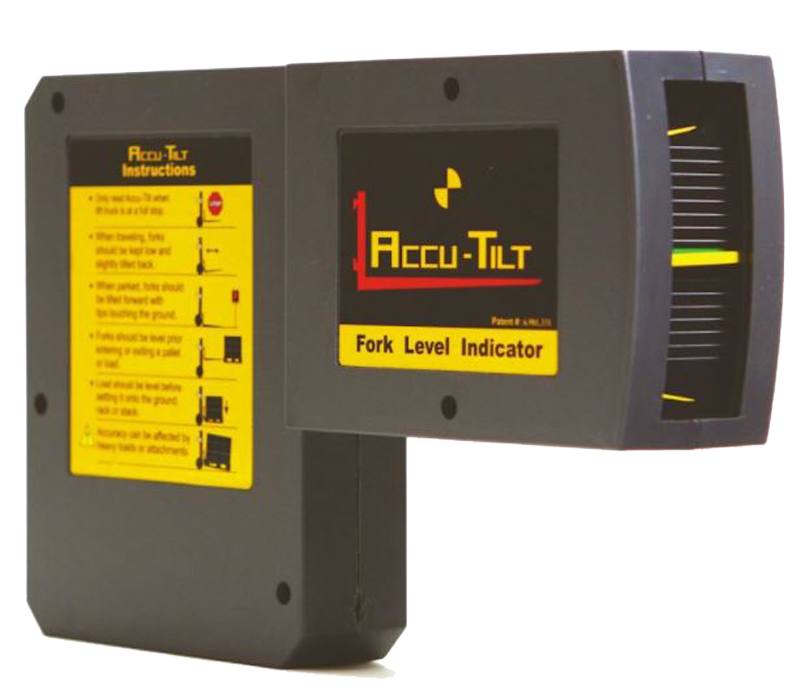 Accu-Tilt is a Fork Tilt Level Indicator that is made for all makes and models of forklifts and lift trucks. The incorrect tilt angle of a lift trucks forks is the leading cause of both racking and product damage. Even the most experienced operator has difficulty judging the tilt of the forklifts forks when he is entering pallets high on the rack. The Accu-Tilt shows the operator the level of the forks at all times thereby reducing potential damage by piercing product or racking and increasing productivity by eliminating the guess work. Additionally, the Accu-Tilt’s Fork Tilt Level Indicator will also indicate to the operator the correct fork angle to travel with a load as well as parking the lift truck.